The beauty of this month is unimaginable. Towards the end of February and carrying into March we have witnessed a move of God like none before. Our ministry has been stretched far and wide. In just a few days we have been blessed to reach and touch many lives across the world. We have seen word of knowledge and mysteries demystified by God right before astounded eyes. We have prayed with many women according to what the Lord directed us to, the results have been phenomenal. Great testimonies are coming in. All glory be to the king of kings. This month, we with be praying for establishment. I believe that until the Lord establishes something it is not established. In the same was once God has established something it is indeed established. This month we want to call on him to establish us in all we do. Dear heavenly father. Glory and all honour is yours for all you have done and all you will do in us, with us and through us. Your word says unless the watchmen watch with you they watch in vain. Lord, we do not want to watch in vain. We do not want to walk in vain. We ask that you would lead our efforts in the name of Jesus we pray. Amen. For those of us who are new to our family, each hour has 3 prayers points. This makes for 20 minutes per prayer point. Our prayers are continuous. Day in day out, we pray these prayer points. · Lord we pray for establishment of these families. · Lord in these end times give us a spirit of discernment. · In every opportunity that seeks to yoke in in disadvantage I break free by your anointing. Thank you for taking your time to be part of this Movement. I assure you that God is doing mighty things and has even more amazing things planned for us. 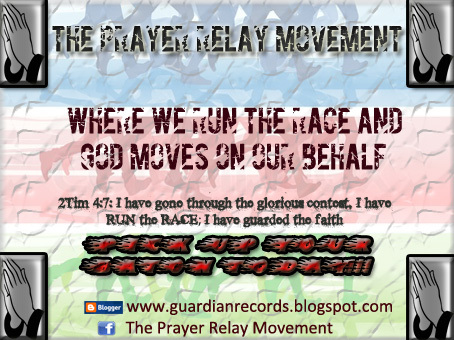 Let me take this moment to invite you to our Facebook page “The Prayer Relay Movement” https://www.facebook.com/groups/419806371379959. 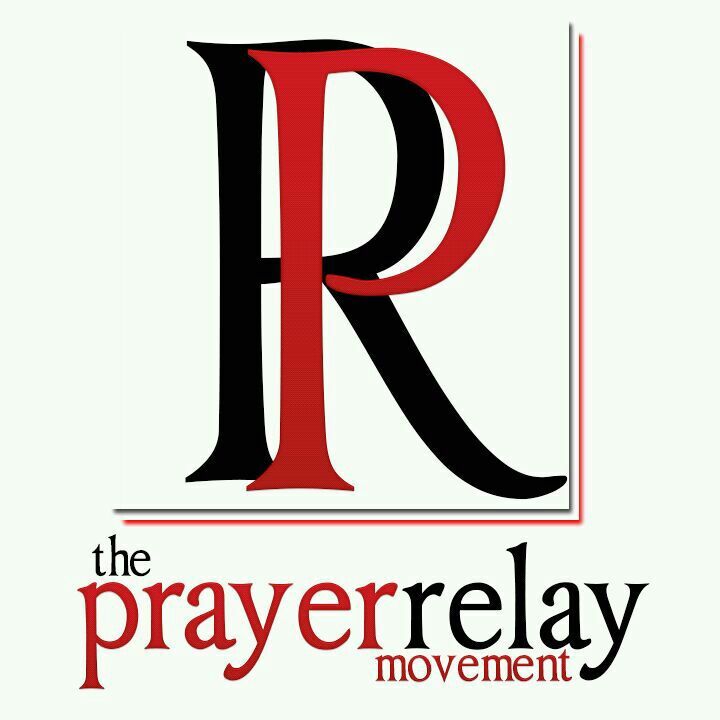 We are now also on InstaPray @PrayerRelay. On twitter @PrayerRelayMvt Let us stay connected and support each other on this journey of life. In the next couple of month we will be launching our expansion plan. If you’d like to be a part of this, please don’t hesitate to be in touch. This marks the start of a series of 100 posts where I will talk about 100 Christian Rap tracks that nurtured me in my walk and growth in Christ. 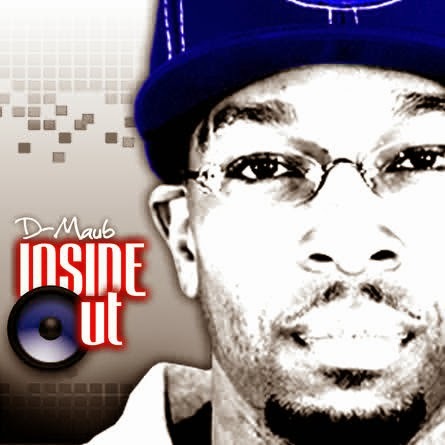 If you are a Christian Rap fan you'll love these tracks. They are not ordered according to how good they are but as chronological as possible according to when I first heard the track and not necessarily when it was released. Well here is #1. My spirit tell em yes, even when you come with the NO! 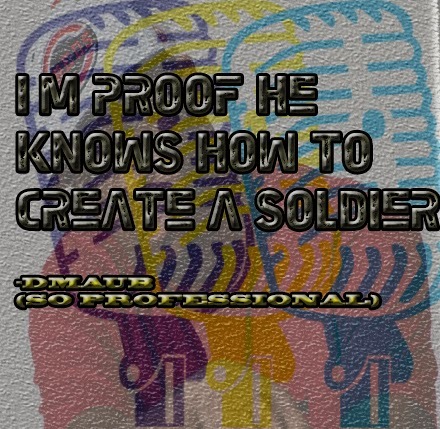 When I'm a pro, Know how I know? 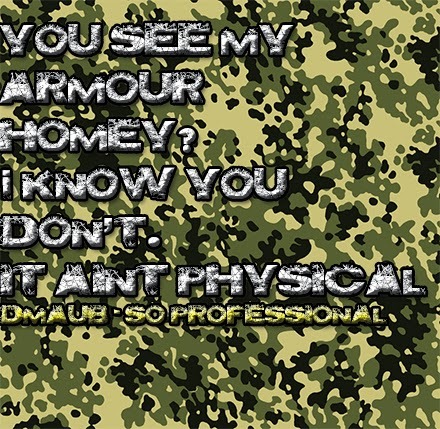 You see my armour homey? Every day we hear it, we read it in posts on Twitter and Facebook. "Real recognise Real" is a phrase that is coined by one appreciating the work of another while at the same time not downplaying their own noteworthy contribution in the same or similar area. In his own eyes, fake is real. More than often even the realest. Thus when you bring two fakes together they'll also coin the phrase "Real recognise real" not recognising the absence of real in this instance. The sons of Eli, Hophnei and Phenias most definitely viewed themselves and each other as real, thus their inability to reform when corrected. Walking on the wrong path has a blinding effect. One can no longer look beyond oneself, thus in their own eyes they are always right. I have seen countless posts on social media networks as well as videos of Christians criticising other Christians. This is usually a case of one "REAL" Christian speaking out because he feels he has identified a "FAKE" Christian. What we often forget is the fact that walking on the wrong road does not make you a "FAKE" Christian, more than often it reaffirms the fact that we are actually human beings, flesh and blood that is not perfect. What I've always found queer is that the ones that criticise others seem to forget that they too are not perfect. I am always pleased to see us as a body of Christ identifying and alerting one another to our short-coming. I for one would not be pleased if I were to find out that I have been walking the wrong way while others who could see this did not say anything, we ought to be one another's keeper. However what I do not usually approve is the methods that we use to reach those we see walking off course. People post on the social media for the whole world to see. Once this is done room for dialogue is closed thus one person here is pushed away. Correction should always be in private. Nowadays I see of lot of believers who behave the same way that the Pharisee did in the story of the Pharisee and tax collector. 9 He also told this parable to some who trusted in themselves that they were righteous, and treated others with contempt:10 "Two men went up into the temple to pray, one a Pharisee and the other a tax collector. 11 The Pharisee, standing by himself, prayed thus:' God, I thank you that I am not like other men, extortionists, unjust, adulterers, or even like this tax collector. 12 I fast twice a week; I give tithes of all that I get. ' 13 But the tax collector, standing far off, would not even lift up his eyes to heaven, but beat his breast, saying, 'God, be merciful to me, a sinner! ' 14 I tell you, this man went down to his house justified, rather than the other. For everyone who exalts himself will be humbled, but the one who humbles himself will be exalted." John the Baptist had recognised Christ even before his birth. The bible says while he was still in the womb he was excited at the presence of the mother who carried Christ. Luke 1:41: And when Elizabeth heard the greeting of Mary, the baby leaped in her womb. And Elizabeth was filled with the Holy Spirit, 42 and she exclaimed with a loud cry, "Blessed are you among women, and blessed is the fruit of your womb! 43 And why is this granted to me that the mother of my Lord should come to me? 44 For behold, when the sound of your greeting came to my ears, the baby in my womb leaped for joy. 45 And blessed is she who believed that there would be a fulfillment of what was spoken to her from the Lord." None of us can say John the Baptist was not "REAL", he was as real as it gets. He baptised Christ, he honoured him with his mouth. He paved the way for Christ. Yet in the darkest of hours the man who had always recognised the REALNESS of the Messiah sent a messenger to confirm this realness. Luke 7:18: 18 The disciples of John reported all these things to him. And John, 19 calling two of his disciples to him, sent them to the Lord, saying, "Are you the one who is to come, or shall we look for another?" 20 And when the men had to him, they said, "John the Baptist has sent us to you, saying, 'Are you the one who is to come, or shall we look for another? '" 21 In that hour he healed many people of diseases and plagues and evil spirits, and on many who were blind he bestowed sight. 22 And he answered them, "Go and tell John what you have seen and heard: the blind receive their sight, the lame walk, lepers are cleansed, and the deaf hear, the dead are raised up, the poor have good news preached to them. 23 And blessed is the one who is not offended by me." Nicodemus was part of the religious elite of his time. Man of authority. Man whose words were always accepted by most as fact when it came to spiritual things. In the eyes of most, Nicodemus was real and Christ was fake. I mean Nicodemus spent his time with "righteous" men like Capphais the high priest while Jesus spent his time with "wicked" men like Zaccheus. However the bible speaks of a time when "REAL" went in pursuit of "FAKE". It says he went to Jesus by night to seek enlightment. The book of Acts speaks of a very passionate man by the name of Saul. Saul had such an amazing passion for whatever his conviction was. When he believed those that followed "the Way", or Christians as they are known nowadays were blaspheming the name of God by claiming Jesus was Lord he mercilessly went after them. His conviction was so great that his own territory was becoming small. He sought permission to go far and wide to persecute more "FAKE" people. Obviously his friends who were as "REAL" as he was and shared his conviction made it possible by providing the necessary paper work. On route to Damascus, his story changes. We understand that a bright light crossed his path and he fell off his horse. When addressed by Jesus, he responded "Who are you LORD?" He recognised that this was a power greater than any he knew or possessed. It went on to say that from the time his sight was restored to him through Barnabas, Saul began to preach about this Lord whose people he had long persecuted. There is a brutal fire that is set ablaze when fake recognises real. Saul travelled as far as the Lord could carry him and took this message of Christ even to Rome. He faced more opposition than he had faced before but his fire burned even more for Christ. He celebrated his suffering for the name of this man that he had always viewed as "FAKE." The fake Saul became REAL Paul and wrote about half of the new testament, his teachings live on. That is what happens when fake recognises real! The monk who rose from the dead: I have followed a few leads on this story but have been unable to prove it true or false. As the story goes, a bhuddist monk died and went to hell. Apparently he was dead for three days and arose thereafter to tell what he had seen. He saw Bhudda and other monks in hell. He saw what he thought was "REAL" in hell, thus recognising that it was actually fake. He shared his experience and many monks have given their lives to Christ. The Hindu guru preaching Jesus in their temple: This I saw filmed in a Darren Wilson documentary. The footage is as real as it gets, no retakes. Jesus appeared in a Hindu guru's dreams and also in that of an Indian evangelist. They were both instructed to meet up and on meeting up the evangelist, Ravi went on to teach about Christ to this guru. Who accepted Christ and went on to teach about him in his Hindu temple, with his talk accompanied by miracles. What a mighty God we serve. The distinction between real and fake is often so blurred, we need wisdom to recognise it. It take a lot of guts to accept when you are fake, and pursue realness. Humility is the key. Let us approach those we feel are fake in the right way, with an aim to redeem and not to annihilate. Do it privately, there is no need for the whole world to know. Salvation only occurs when FAKE recognises REAL. Willow Smith : Next Illuminatti Star?